Dread your monthly bills? 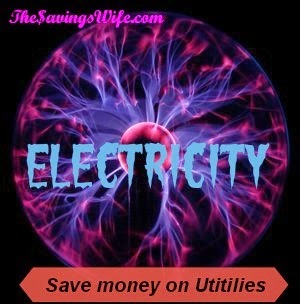 Learn how to save some money and cut your Monthly costs! Electricity: Those of you with Peco as your electric distributor can have a Smart A/C saver installed on your outdoor unit. It's probably available with your distributor You get $30 per month as a credit for each A/C unit you have a saver installed on. You can also learn other ways to save on the dreaded electric bill and maybe a In-home audit can tell you where all you money is going, simply check your electric distributors website. Mine told me I need to seal my attic and look into more insulation. You can often change your distributor and pay less. Cell Phone: How does $35 a month sound to you? Pretty good huh? That includes 300 minutes/ unlimited text and unlimited data from Virgin Mobile. They have phones you can choose from also starting at $89 a month. The only downside is you have to choose their phones. You can also get a pay as you go phone at your local walmart. Television: If you wanna get the major news channels and have a HDTV, you can pick up them up with just a regular TV antenna. Then add Netflix (streaming) to your kids wii or game consoles and you get all the kids favorite cartoons. Everything from Disney and Nickjr to your favorites as a kid. The best part no is commercials. Try a month free trial to see if you like it.